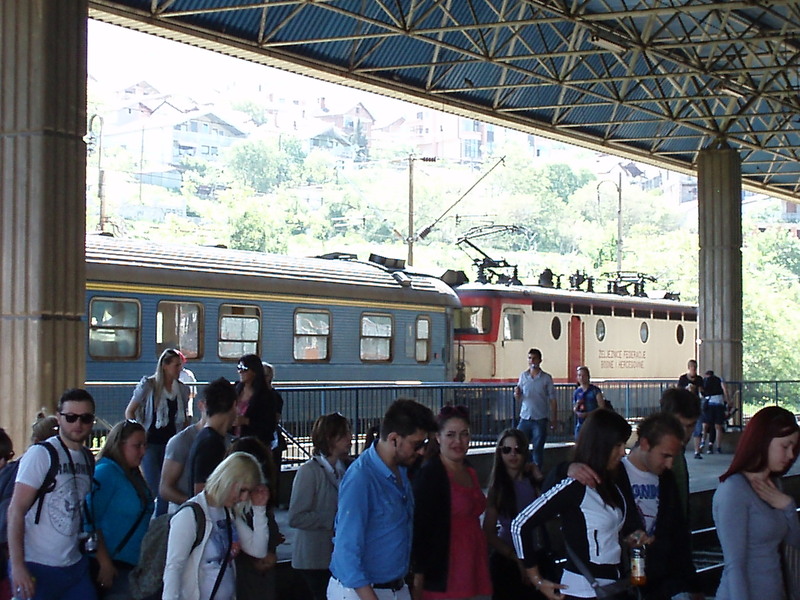 Andreas and I took the train to Mostar yesterday. We’d stopped there once before on our way to the coast for spring break, but it was rainy that day and the city hadn’t quite come to life yet for the tourist season. We wanted to give it another go, and this time, we wanted to go by rail. 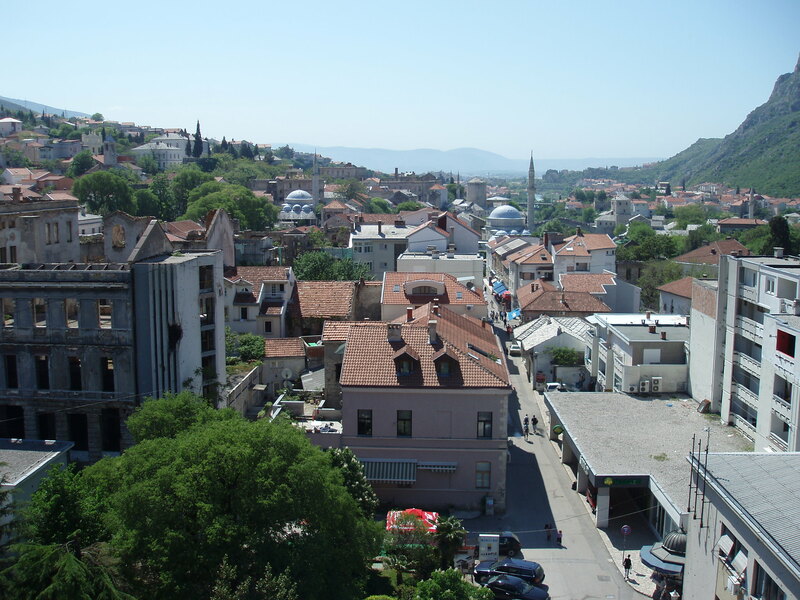 Mostar in the quiet month of March. 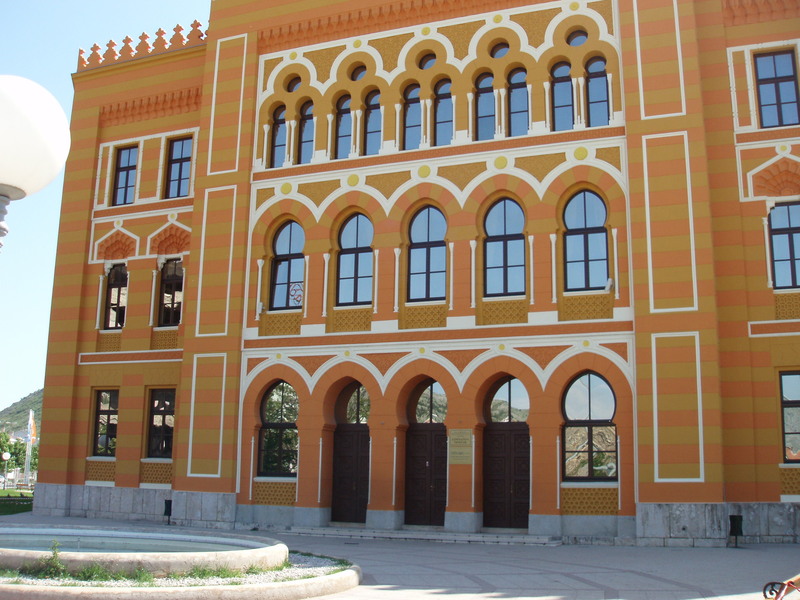 The south-bound train leaves Sarajevo every day at 7:05 am; the return trip departs Mostar at 6:45 pm. Alekka chose to stay home and work on her English assignment. You can only take so much family time when you’re 15. The electric-powered train was already packed with daytrippers, so for us it was standing room only on the two and a half hour ride. Luckily we found an open spot by a window. We passed waterfalls and herds of goats; we crossed over high bridges looking down on idyllic villages. We followed rivers and went through long dark mountain tunnels. We also passed the ruined stone houses of whole towns obliterated during the 1990s conflict. 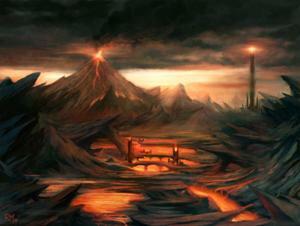 Mostar itself suffered greatly in the war. 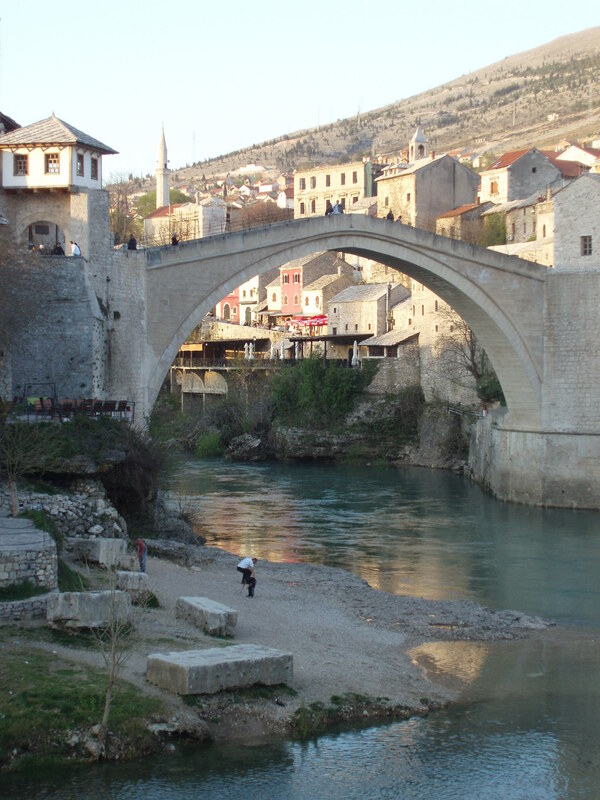 Structures that had stood for 500 years were blown apart or collapsed, including Stari Most, the medieval bridge across the Neretva River that is the symbol of Mostar and for which it was named (most means bridge, and mostar is a bridge-keeper). 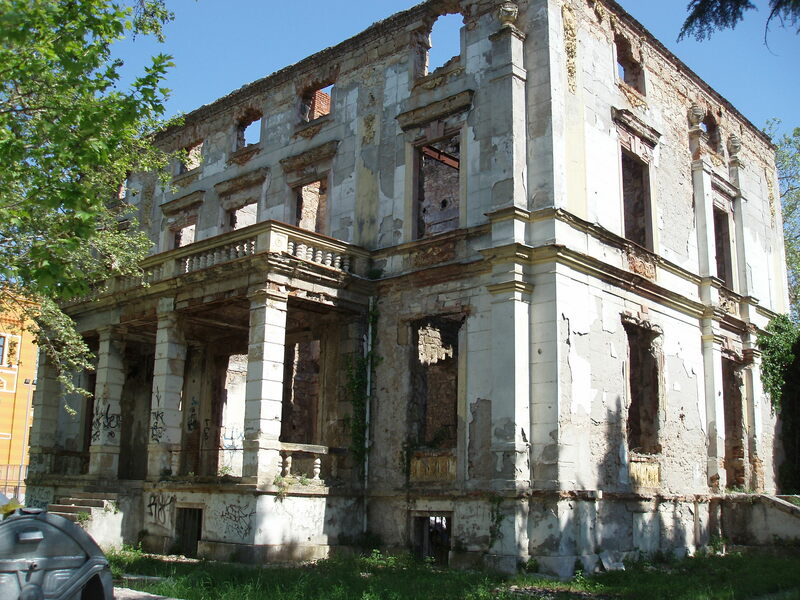 But, as in Sarajevo and other towns throughout the country, international aid and a strong desire to return to normal have made it possible to repair much of the visible damage. another one thanking an aid organization or foreign country for the funds for its reconstruction after the war. My new pen. 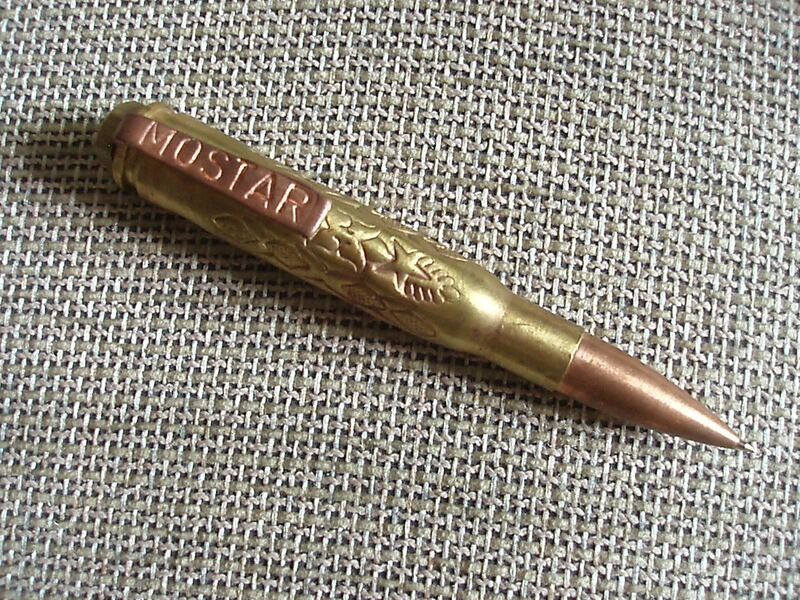 It reminds me of the souvenirs my grandfathers brought home after WWI. areas still under reconstruction, where ruins of schools and hotels stand alongside buildings that are bright new versions of their former selves. We enjoyed a leisurely lunch at an outdoor restaurant by the water. We managed to mistranslate everything we ordered (our Bosnian could use a little work, and I forgot to bring the dictionary) but our mistakes led to pleasant surprises; the food in Bosnia is great. 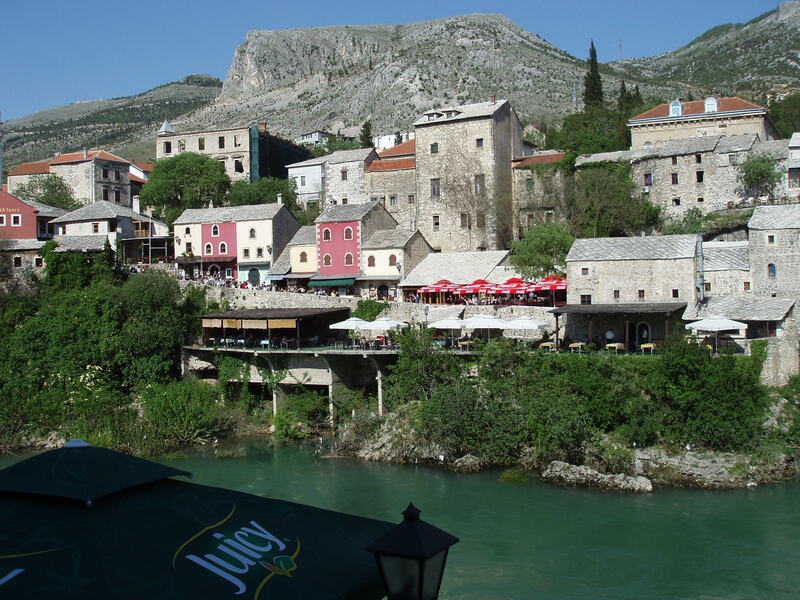 In the late afternoon we relaxed with a glass of local wine on a balcony from which we could watch young men diving off the Stari Most into the Neretva. The train was packed on the return trip but this time we got to the station early and so got to to rest our tired feet on the way home. 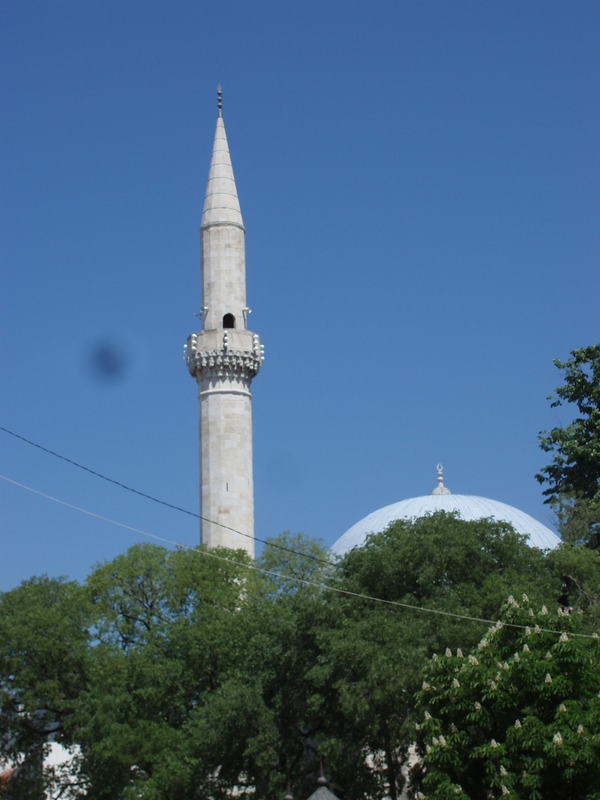 This entry was posted in Bosnia and tagged Bosnia, touring, train, war. Bookmark the permalink.